Port of San Diego, however, will continue doing some work at busy boating venue. SAN DIEGO — Winter is here – and so is the Shelter Island Boat Launch Ramp. The Port of San Diego officially re-opened the Shelter Island Boat Launch Ramp to boaters on Dec. 21 – the first day of winter – after several months of delays. “Construction of the Shelter Island Boat Launch Facility has made significant progress and is nearly complete,” port district staff announced on Dec. 14. Work is not yet 100 percent complete, but the launch ramp will finally be available for use to local and regional boaters. Shelter Island Boat Launch Ramp is one of the busiest boat launches in the country. “The contractor is anticipated to remain on site through January 2019 to complete items such as beach grading and general cleanup, but the work is not expected to impact the public’s use of the facility,” port district staff added. The port district began redeveloping the boat launch ramp in May 2017 and anticipated completing all work before the start of the 2018 boating season. Significant work delays caused the boat launch ramp to effectively be unavailable for most of 2018. 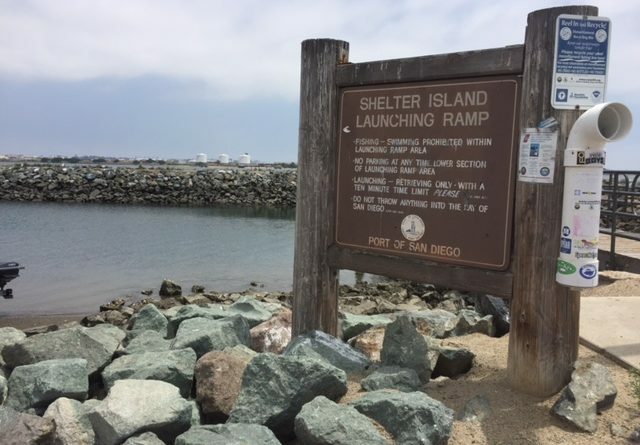 Upgrading the Shelter Island Boat Launch Ramp, which handles about 50,000 boats annually, cost $9.5 million. Port district staff stated the upgrades would allow for safer launches and increased navigability within a larger maneuvering area. Other improvements included longer boarding floats, public docks and walkways, and Americans with Disabilities Act standards updates. Additional information about the Shelter Island Boat Launch Ramp upgrades can be found online at portofsandiego.org/sibl.